The reigning Tour de France champion has given his backing to the first ever Tour Maker volunteer scheme to run alongside the world’s most famous bike race. Chris Froome is now encouraging people to put themselves forward to be a potential Tour Maker. The Tour de France 2013 winner – who is set to return to the UK to defend his title when the race starts in Leeds on July 5 – urged those who still want to get involved, to register before the December 31 deadline. 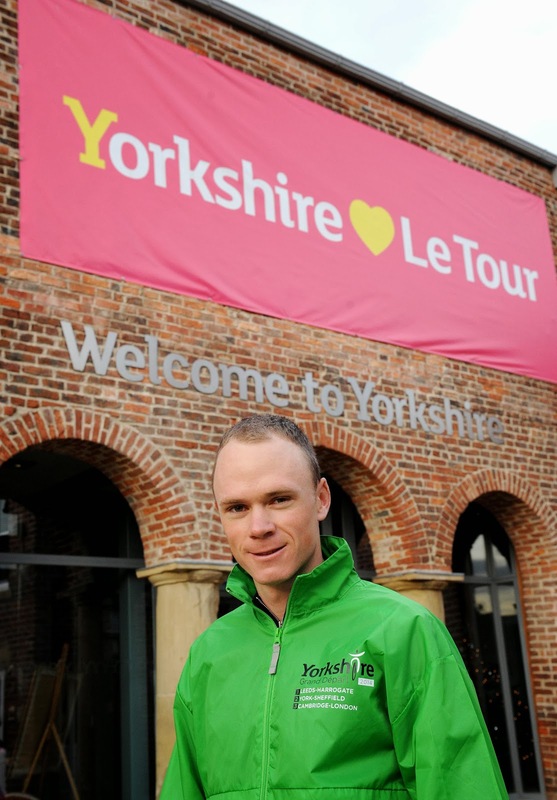 In a first for the Tour de France, Yorkshire-based supermarket giant Asda has announced its partnership with organisers Welcome to Yorkshire to recruit, train and provide bespoke uniforms for the final 10,000 Tour Maker volunteers. Deputy Prime Minister Rt Hon Nick Clegg this month officially launched the Tour Maker partnership and the call for more volunteers to sign up. Tour Maker volunteers are being sought nationwide to cover all three UK stages of the race. The Yorkshire Grand Départ will race from Leeds to Harrogate on July 5, York to Sheffield on July 6, and a third stage will race from Cambridge to the capital London on July 7. Tour Makers’ roles could include lining the route, welcoming visitors and supporting the emergency and National Parks services. Anyone interested in volunteering for any of the three stages of the race while it is in the UK can register at www.letouryorkshire.com/volunteer before December 31.